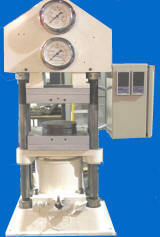 We have an extremely large and varied range of Laboratory Presses from 1 Ton to 250 Tons . 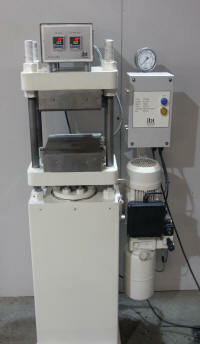 Lab press , New-used or rebuilt, whatever suits your budget. Options for Heated, cooled, programmable pressures and temperatures, profiling, computer controlled, Data-logging, specialised processes, whatever you need - we can supply a solution. For more information or a quote - click here ---- Click on the pictures for more information. 300x300mm square heated Platens, Platens are Heated and cooled with air blast .designed for 0 - 280'C but we can fit new high temperature platens 0- 400C if required. This machine is as new. fitted with inbuilt extractor hood, Fully enclosed with front sliding guard, pushbutton / switch control for open and close. Adjustable pressure, Hydraulic pump set built into base of unit, A relly nice press for production, development or the lab.400v 3 phase approx 20Amp. Ideal for plastics, composites rubber etc, Excellent condition, and ready to go . .
4" Dia ram. 20 Ton Max. Plugs into standard 3pin wall socket. 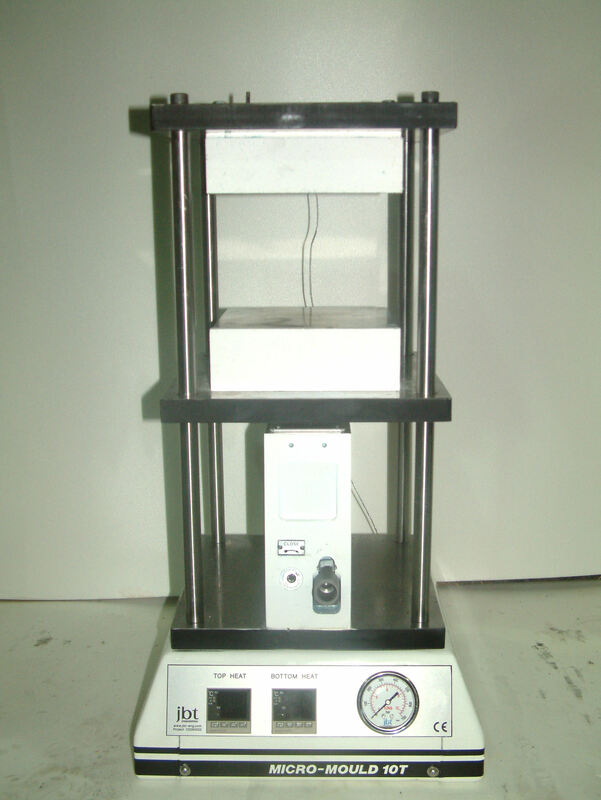 Advanced version of Automatic lab press ideal for composites - Aerospace research, pharmaceuticals etc Temperature range 0- 500c with cooling and variable pressure / position profiles. 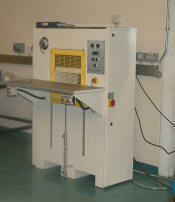 Platen sizes from 200x200mm up to 500x500mm -Also available with cooling.. 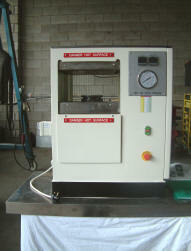 Hot press with Vacuum supplied to world leader in new battery technology and research . Options include programmable cycle recipes for temperature - pressure - tool etc. Platen sizes 300 sq + 400sq with or without cooling - can be customised to suit your process..
Automatic version of lab press with programmable cycle recipes for temperature - pressure - tool etc. 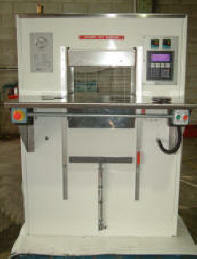 Platen sizes 300 sq + 400sq and other upon request. Options for programmable pressure/position - cooling - high temp. Pneumatic front gate. 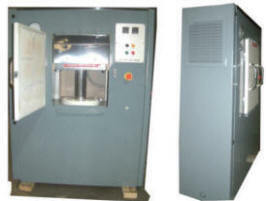 Laboratory & Production Presses . 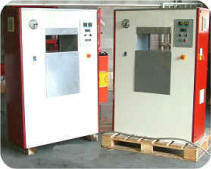 Set of 40 Ton 400mm sq Laboratory & Production Presses . 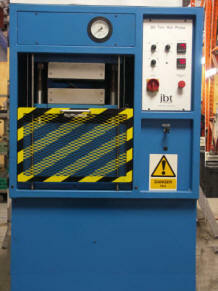 Twin Lab press / Production cell - 100T upstoke. 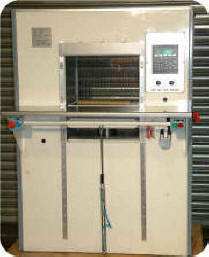 Fully automated press cell line with touch screen for cycle set up and temperatures. Low noise - leak free hydraulics. 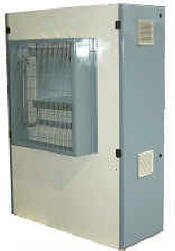 Fully integrated unit - just place in position and connect to Mains electricity and its ready to run. - Advanced Energy saving features on hydraulics and heating plates result in lower running costs - ergonomic and advanced design - lower running costs and setup time mean more retained profits. Designed to be low maintenance- low noise and minimum floor area. 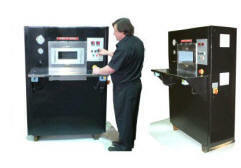 Essential equipment for today's mould shops and specialised seal manufacturers. Semi-automatic or fully automatic control. 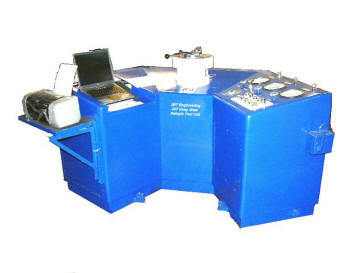 We also build Specialised test cells for shear - load - compression and most other applications. 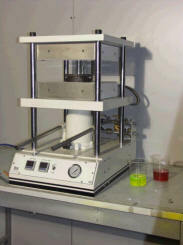 Shown here is a test press to evaluate the effects of lubricants for draw form and metal forming within the Aerospace component market sector.- A full computer data logging and analysis facility is also used to record and process the test results.